SIGN UP FOR OUR WEEKLY HEALTH TIP EMAILS & THE PEAK EFT INSIGHTS E-NEWSLETTER! Sign up to receive our free health tip emails that arrive in your inbox every 7 days for 56 weeks, along with the Peak EFT Insights e-newsletter that arrives every Tuesday! The Weekly Health Tip emails offer tips for living healthier, growing stronger, having fun, and getting the most from your life. The Weekly Peak EFT Insights e-newsletter is comprised of an opening article by Dawson Church, EFTUniverse Special Announcements, new EFT success stories, EFT articles from the EFTUniverse Library, along with special offers and promotions. 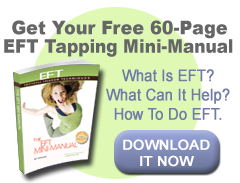 You will also receive a "Your EFT MiniManual" email from Dawson Church with a link to a page where you can download a free copy of the EFT Mini-Manual just for signing up! This group starts by getting 56 weeks of weekly tips by Dawson along with the weekly EFT Insights Newsletter. They begin by getting 2 emails a week from us...This list is for people who specifically sign up for the newsletter from the EFTU site and start with being emailed the mini-manual. SIGN UP FOR SPECIAL OFFERS & PROMOTIONS & THE PEAK EFT INSIGHTS E-NEWSLETTER! Sign up to receive periodic special email offers and promotions from our trusted sponsors and partners, including discounts and deals for special online courses, products, and workshops for the EFT-minded individual. The Weekly Peak EFT Insights e-newsletter is delivered to your inbox every Tuesday and is comprised of an opening article by Dawson Church, EFTUniverse Special Announcements, new EFT success stories, EFT articles from the EFTUniverse Library, and information about upcoming EFT Workshops. You must hide these notes as this information comes up on the newsletter sign up page to the public...These are special announcements that Dawson only periodically sends emals to that also get the e-newsletter every week. This is the list program participants should be added to the newsletter so that they are not on the Weekly Health Report Campaign since they did not sign up for the Weekly Health Report on the EFTUniverse site. Interested in only receiving the EFTUniverse once-a-week Peak EFT Insights Newsletter and no other emails from EFTUniverse or its health-partners. Interested in how EFT can be used in a business setting, by entrepreneurs and at larger corporate offices. Interested in EFT for money, EFT for financial success, EFT for money blocks, EFT for poor money habits, and other financial stories. Interested in health-related stories--not necessarily EFT-related. Interested in learning how to use EFT to treat pain, manage pain, eleviate pain or recover quickly from a painful injury. Interested in learning how to use EFT to treat Post-Traumatic Stress Disorder or recover from the varied symptoms such as being easily startled or angered, irritable or anxious; feeling distress, fear, helplessness, guilt, or shame associated with PTSD. 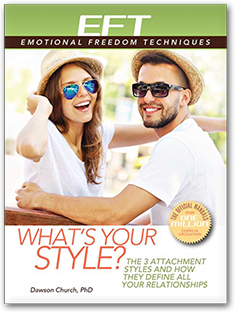 Interested in EFT for relationships, tapping deep intimacy and how relationships can be helped with the use of EFT. Interested in the science behind EFT, the latest in EFT research, research papers, abstracts, energy psychology research, and the latest in science news. Interested in EFT for sports performance articles, tips for coaches, EFT for competitive athletes, EFT for injury recovery, and anything related to sports. 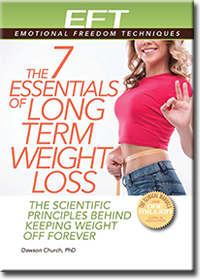 Interested in EFT for Weight Loss (Naturally Thin You Boot Camp, EFT 4 Weight Loss, SkinnyGenesFit) and any energy psychology-based weight loss programs.